I pulled out my PA today, deciding to give it another shot. I Did not enjoy it again. I think it reminds me too much of cigarettes, which i grew to despise after 15 years of around 2 packs/day. This is a Burley mixture. Were you smoking American cigs? Canadian cigs are straight Virginias (JPI Macdonald/RBH/Imperial/Native contraband). In fact if you're smoking a Virginia blend in a pipe then the room note from burning Canadian Virginia cigs smells quite good. They're actually made from quite good Virginia blends. Du Maurier to start, then Export A, Players, and finally Canadian Classic because they were cheap (and by "cheap" I mean $12/pack when I quit haha). BAT/Imperial Tob - Du Maurier and Players. Didja know that John Players is a British brand, and John is from Nottingham? Player's Navy Flake is another that Lewis and JRRT would like. Me too. That's a tour. Dinged all three. Everyone of them is straight Virginia. Do you like 5 Brothers but want to add just a little more interest to it? Well I've been experimenting and found that about 5 to 10% (by weight) C&D Turkish broken up a mixed with 5 Brothers makes for a simple but fantastic smoke. The Turkish adds a nice woody, semi-sweet spice. I think I'll try some McClelland Blending Orientals next. Just FYI it's the Izmir Turkish from C&D. I'm going to have to try five bros again sometime. I have it from a reputable source that it's changed and not for the better. Two others that I was never able to smoke were U***n Leader and Model. I doubt that I ever will now, as the last distributor of either was House of Windsor and we all know what happened to them. Somehow, this is something that I do not feel all too broken up about. Have 4 ounces of LL Edgeworth RR inbound from P&C. Why is Carter Hall 5 or 6 bucks per luxury pouch? Mars Cigars has it for $4. If you don't like RR, you are a commie. I've been smoking a lot of Pegasus, and enjoy it, but last night I opened a luxury pouch of PA. It was my first in some time. 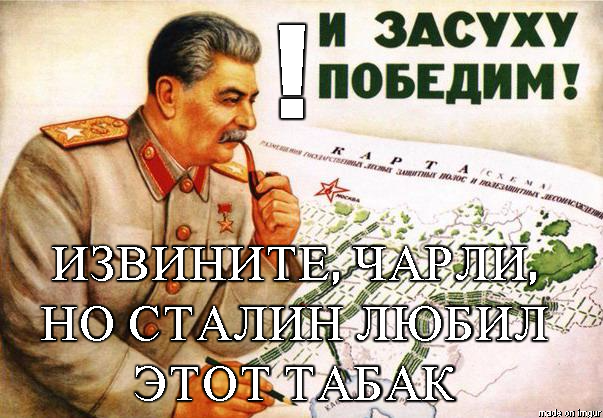 I was instantly reminded that, while other tobaccos might fill a similar niche, there is only one PA.
Извините, Чарли, но Сталин любил этот табак! 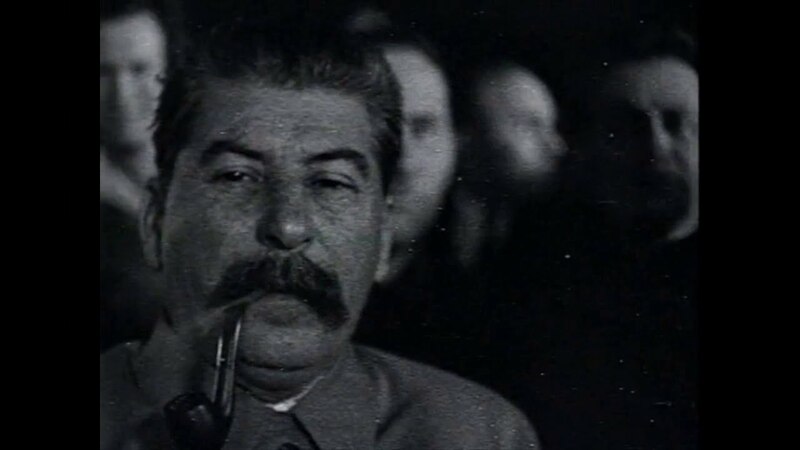 Sorry Charlie, but Stalin loved that (Edgeworth) tobacco! you're not questioning the integrity of Life Magazine are you? An American institution if there ever was one. That man was no commie. Your rapier, sir, is swift and very sharp. Although I admired the premise, I felt the need to point out that your argument was invalid, because Edgeworth is universally loved worldwide by all smokers of discernment, regardless of political affiliation. I have long considered Edgeworth Sliced to be the finest American pipe tobacco ever made, but the fact that the flake variant is no longer capable of being made here only illustrates the sad fact of the USA's continuing decline of industrial might, along with, as my favorite president* once described the general mood, our lazyass malaise. Jimmy is my fave due to me being a young lad when he was in and thinking it was like really cool that he was from Georgia just like me, plus he had a great smile, he loved peanuts and I loved peanuts too, and his drunk brother Billy reminded me alot of my uncle Logan so it was like all in the family, like. That's my understanding from the research I've done. I like the RR, but have definitely met people who didn't. It seemed a solid smoke amongst those who worked. Plenty of office guys smoked it as well as people in more blue collared trades. I always wondered about Walnut--that was solely a white collar smoke around here when I was young. The sliced I could never get into. I'm afraid I came into certain tastes rather late in life.